It’s 3 p.m. Lunch is a distant memory and your stomach is rumbling like a thunderstorm on the Canadian Prairies. It’s not uncommon to feel peckish throughout the day, especially if you’re putting in some serious time on the trainer. But graze on too much of the wrong foods (oh, say, that plate of chocolate chip cookies in the lunch room), and a snack habit could sabotage your race weight quickly. The right snack choices, however, can provide an active body with the vital nutrients needed to support fitness gains. Here are the best snacks to satisfy every craving – guilt-free. It’s time to think beyond sushi when it comes to eating veggies from the sea. Strangely habit-forming, those packets of dried seaweed snacks provide a salty-tasting snack when you need it most, for example, after a sweat-fest in the saddle. At only about 15 calories per package, a seaweed snack is much less hazardous to your waistline than salt-laden chips or pretzels. As a nutrition bonus, seaweed is plush in iodine for optimal thyroid health as well as potent phytochemcials that are good for you, too. 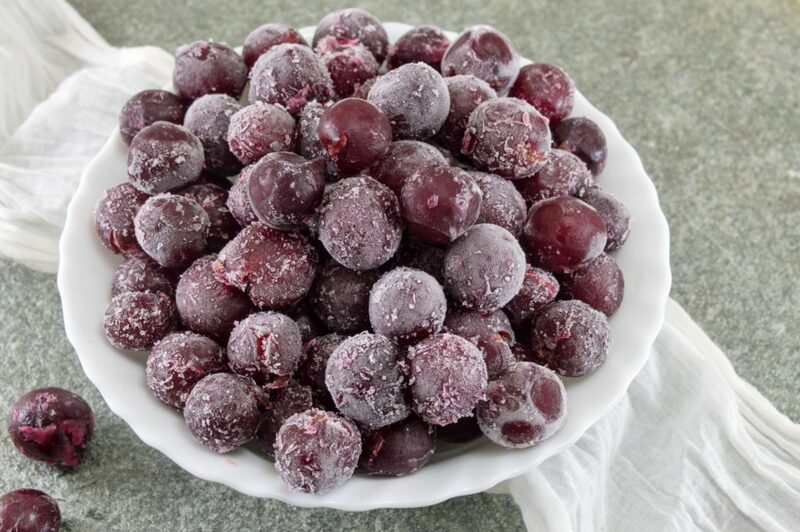 Much less of a calorie catastrophe than digging into a tub of ice cream, frozen grapes are firm but still easy to bite into with a creamy consistency, similar to a bite-size grape Popsicle. Sub-zero grapes are a good source of vitamin K for better bone health. If you freeze the red variety, you’ll get a bounty of antioxidants. Simply spread whole grapes in a single layer on a baking sheet, freeze until firm and store in an airtight freezer bag. For a creamier snack, chop up a few and stir into plain Greek yogurt. Bathroom jokes aside, dried plums (a.k.a. prunes) are an ideal snack option when you need a sweet fix or shot of energy before pushing the pedals. A study in the journal Appetite found that subjects who snacked on dried plums experienced a greater degree of satiety than when they ate the same number of calories in the form of low-fat cookies. Indeed, an ideal snack should fill you up not fill you out. 40 minutes, stirring twice throughout. Not just for long-haul truck drivers, jerky offers a portable high-protein, low-fat snack that can help stave off hunger and build muscle. Cereal bars? Not so much. With this gas-station stalwart experiencing a renaissance of late, there are more options than ever including turkey, bison and salmon. Still, you want to take a peek at the nutrition label and look for a brand that delivers the least amount of added sugar and sodium. Ideally that means opting for a jerky with no more than 500 mg of sodium and 4 grams of sugar per serving.